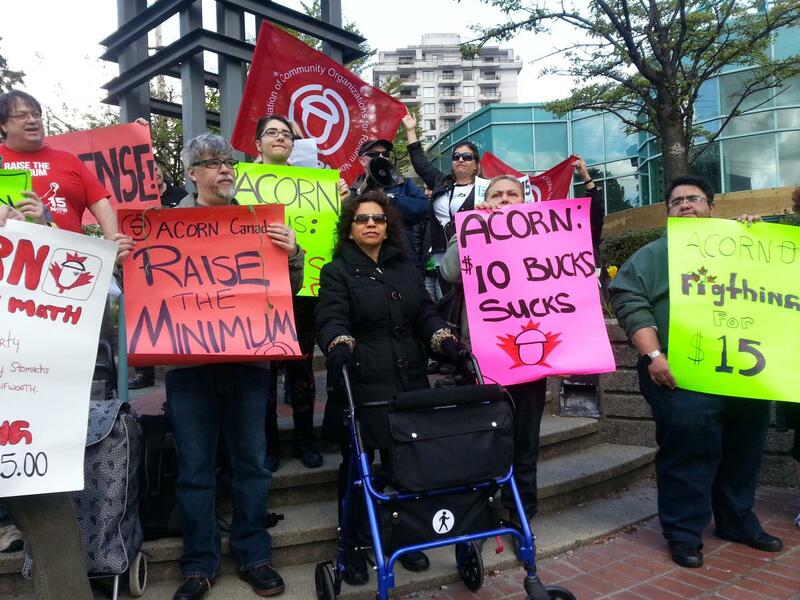 Yesterday in New Westminster, approximately 40 ACORN members enthusiastically demonstrated against Christy Clark's paltry 20 cents an hour raise to the minimum wage, demanding a 15 dollar per hour wage. 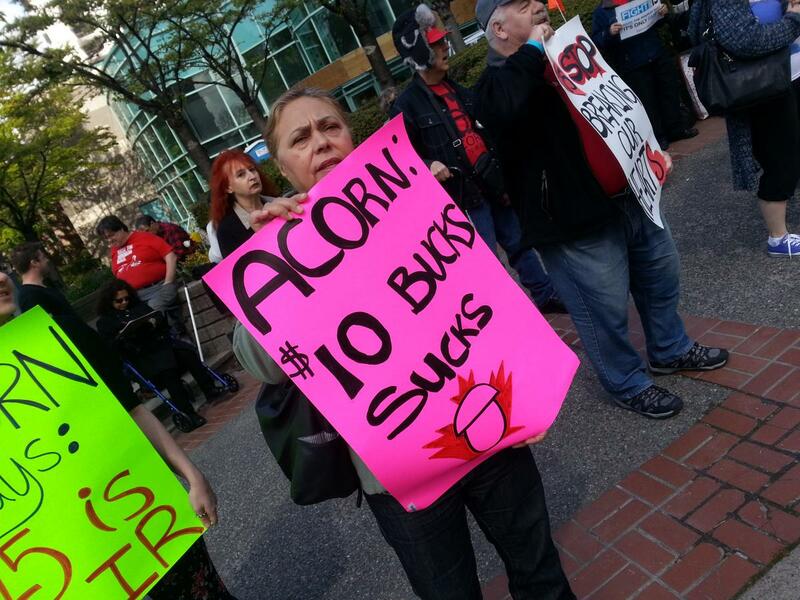 New Westminster ACORN member Laura Cairns did a fantastic job leading the action, and was supported by members Rick Hardy, Morgan Sinclair, and Monica McGovern. The action began at the steps of an under construction Walmart location, with members chanting "How can we survive on 10.45? 20 cents is nonsense! 20 cents is nonsense!". Then, following a march through the streets of Uptown New Westminster, the action finished up in front of a local McDonald's with members petitioning and speaking with passersby about the campaign.